I try not to bore you too much with the day-to-day goings on of my life because I’m sure no one out there really wants to read about all that stuff. I haven’t gone on too much about the stresses of moving, the hassle of unpacking, and the endless flat-pack-furniture building. This is, after all, a blog about Japanese culture. However, when there was a chance for the ordinary to cross with my love for Japan, I couldn’t resist. The flat I’ve moved into is unfurnished, which is great because it means I can make it my own. But moving in to a place with no furniture at all means you have to spend a lot of time (and money!) getting it all right. Choosing a bed was a big concern for me. Should I just buy something cheap from Argos or Ikea? Does it really matter? Or should I spend a bit more and get something I really want to put in my house and keep for a long time? I went with the latter. I had the same bed throughout my student years and early 20s. I don’t remember where it came from now, but it was a pretty basic metal frame with an ordinary mattress. It did me well, but when I moved to Japan in 2008 I got rid of it. Throughout my three years in Japan I slept on a thin futon in a loft space in my Leo Palace apartment (both in Nagoya and Hamamatsu). I grew used to it, and it was all part of the adventure, but it wasn’t exactly ideal. 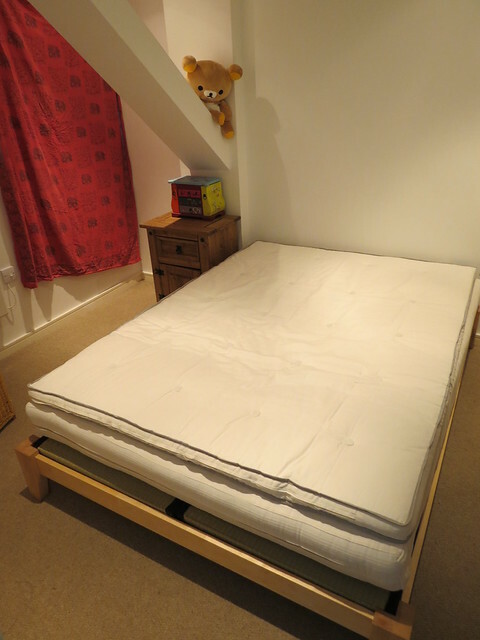 After moving back to the UK in 2011 I live in furnished flats which came with beds. This wasn’t exactly ideal either! According to their website, in 1980 the Futon Company first introduced the futon to Europe and it was an immediate success. By 1995 they had become the world’s largest producer of futons and they now have 21 retail stores throughout the UK. I liked the look of this bed not only because of its simple design, but also because of one particular element – tatami. 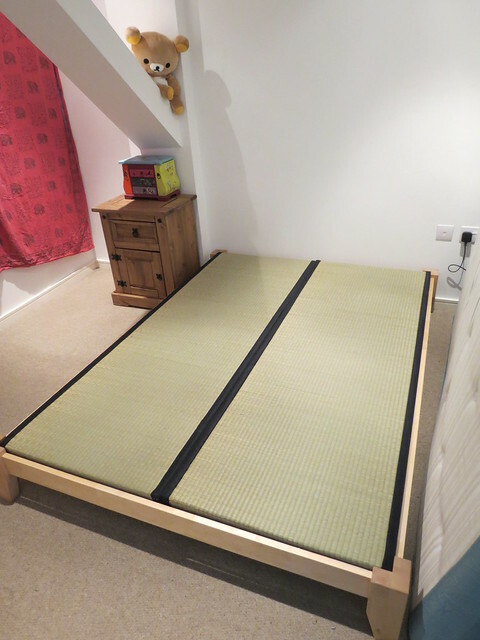 Yes, resting on the bed frame, below the futon mattress itself are two specially designed tatami (畳) mats. 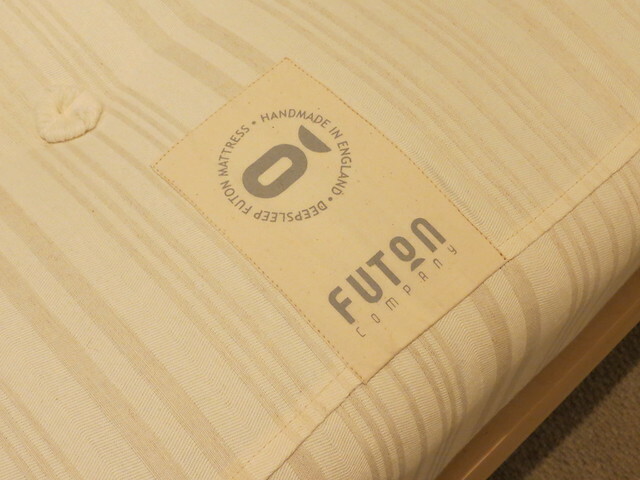 The tatami mats sold by the Futon Company are made traditionally from kiln dried and heavily compressed rice straw with rush (known as ‘igusa’ in Japanese), but are made slightly larger than traditional Japanese tatami mats in order to fit the bed frames. Actually, these mats are made in China, not Japan, but are made in a traditional Japanese way. About 4-5,000 pieces of rush are used to make one tatami mat! 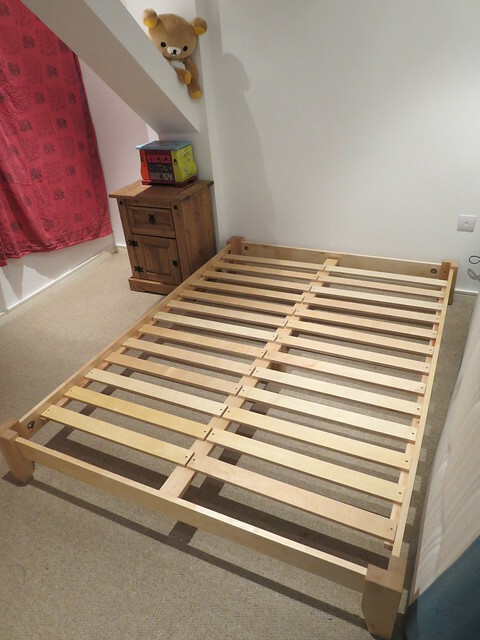 My bed arrived flat-packed of course, but it wasn’t too difficult to build the frame. Laying the tatami mats on top of the frame by myself was a little more tricky as they are REALLY heavy (about 22kg each). And the futon topper on top of the mattress (the futon topper just makes it a little bit more squishy). And finally I had a bed in my new bedroom! According to the information leaflet from the Futon Company, tatami mats date back to 710AD when Emperor Shomu first used them as a bed. Back then, there were rules governing the use of tatami. People of different social ranks had different types of mat thickness and varying colours of edging fabric. However, by the Edo period (1603 – 1868) tatami mats had become commonplace. Apparently tatami have been reported to help clean the air of the room because the tatami absorbs nitrogen dioxide. 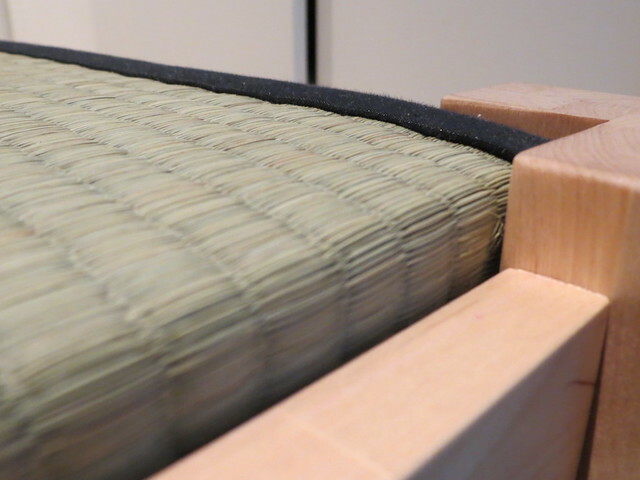 Tatami also absorb moisture when there is high humidity and discharge it when the air is dry. In addition, tatami is a good insulator, keeping you cool in the summer and warm in the winter. 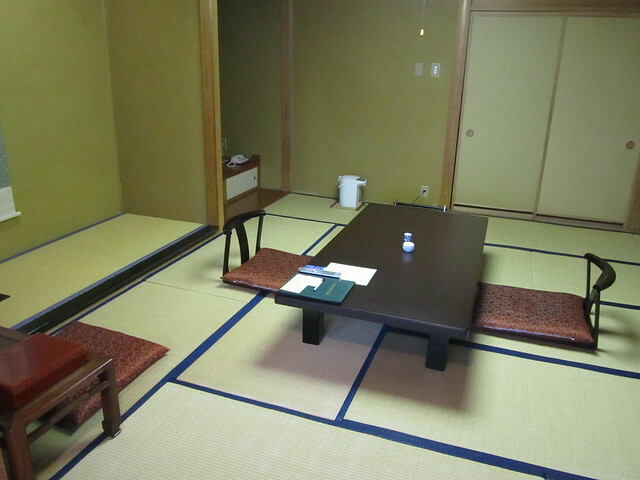 At night, the table is moved and futons are laid out directly onto the tatami. Sleeping in a ryokan is a great experience, and very different to staying in a Western-style hotel. So, I’m one step closer to my ideal Japanese-influenced home. 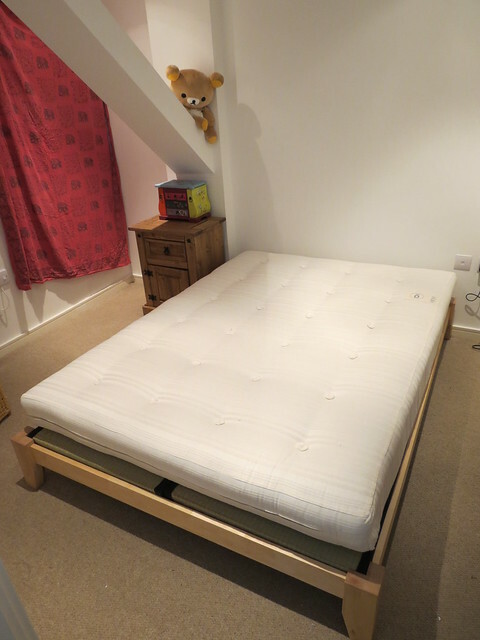 Hopefully I should be able to get a good night’s sleep now I have the bed of my dreams! That bed sounds really healthy and comfortable. I could do with the use of one of those for my stays in Cyprus. By the way Ali I have my first Japanese like on my fb page. A couple came to stay at my cousins guest house in the mountains in Cyprus while I was there a few weeks ago. It was the first trip abroad they had made from Japan. Today I saw they liked my page! Wow that looks like such a cool bed!! And cute~ Tha’ts very interesting with the tatami mats, hope you get your dream 😀 Rilakkuma is so cute there. It is soooo comfy! I just want to sleep all day now though! Haha! You did a good shopping. 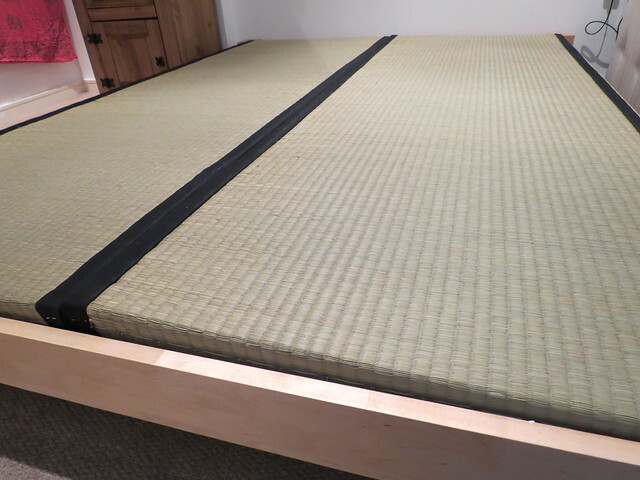 I know this post was published something like nine months ago, but it’s the first time I’ve been introduced to this intriguing concept of modern tatami beds and couldn’t resist leaving a comment. Also I am somewhat in love with your bedsheets set, could I perchance ask where one would find a set like that?! 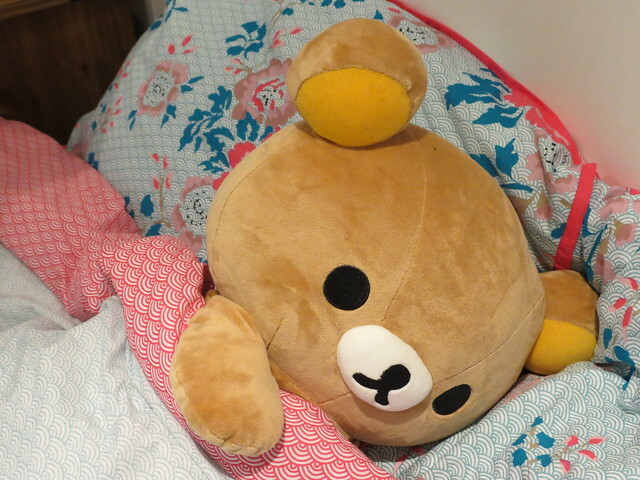 On a side note, I am a fan of Rilakkuma as well and have this strange goal to purchase a plush just like yours only once I visit Japan, even though there are easier means of getting one..
Hi Rini! Thanks for stopping by! The Futon Company has some great beds like this! 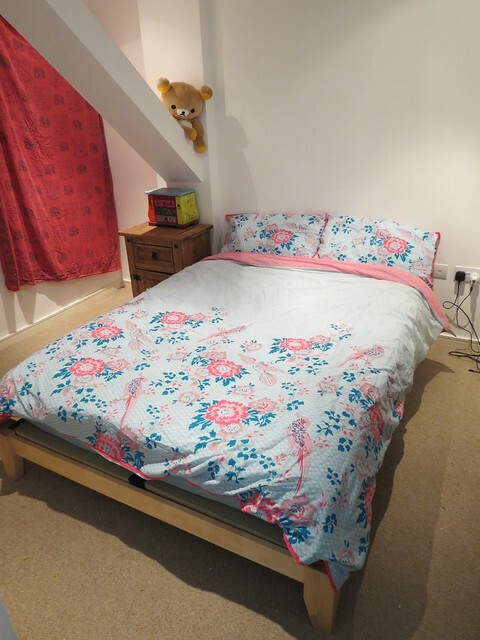 I got my duvet cover etc in Matalan – a shop in the UK. They were really cheap, but quite good quality. Some of the department stores do really nice ones but they’re sooooo expensive!